The police drama has been one of the longest running and most popular genres in American television. 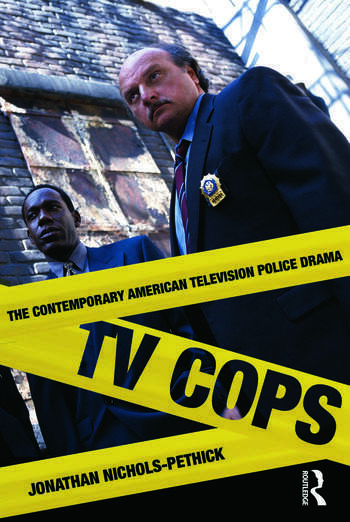 In TV Cops, Jonathan Nichols-Pethick argues that, perhaps more than any other genre, the police series in all its manifestations—from Hill Street Blues to Miami Vice to The Wire—embodies the full range of the cultural dynamics of television. Exploring the textual, industrial, and social contexts of police shows on American television, this book demonstrates how polices drama play a vital role in the way we understand and engage issues of social order that most of us otherwise experience only in such abstractions as laws and crime statistics. And given the current diffusion and popularity of the form, we might ask a number of questions that deserve serious critical attention: Under what circumstances have stories about the police proliferated in popular culture? What function do these stories serve for both the television industry and its audiences? Why have these stories become so commercially viable for the television industry in particular? How do stories about the police help us understand current social and political debates about crime, about the communities we live in, and about our identities as citizens? Jonathan Nichols-Pethick is Associate Professor of Media Studies at DePauw University. His work has appeared in The Velvet Light Trap, Cinema Journal and the anthology Beyond Prime Time: Television Programming in the Post-Network Era.